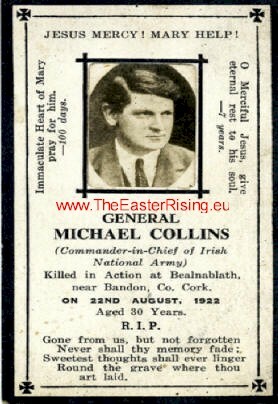 Collins (Michael) Memorial Card, General Michael Collins (Commander-in-Chief of National Army) killed in action at Beal na Blath, near Bandon, Co. Cork, 22 August 1922, with photograph. 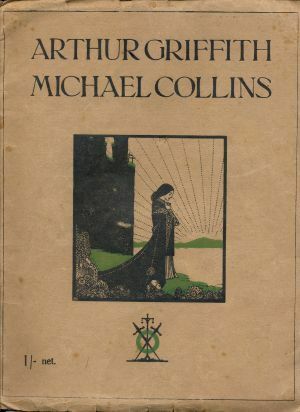 MICHAEL COLLINS, A RARE MASS CARD. 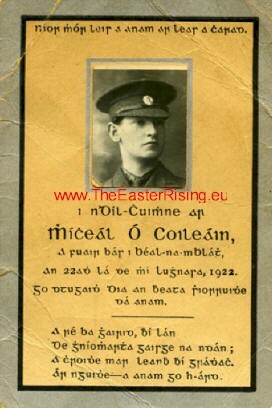 Black text on grey and buff card, black border, Gaelic text: "I nDil-Cuimne ar Miceal O Coileain a fuir bas i Bean-na-mBlat an 22ad la de mi Lugnasa, 1922", etc. 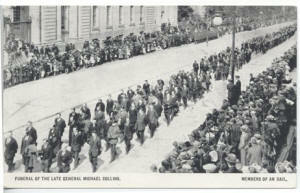 (In memory of Michael Collins who died at Beal na mBlath on 22nd August 1922). 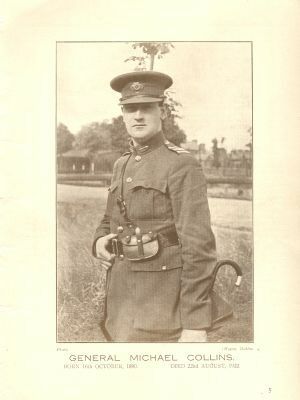 with head and shoulders real photographic portrait of Michael Collins facing left, wearing the uniform of an officer of the Irish Volunteers, affixed at top centre. 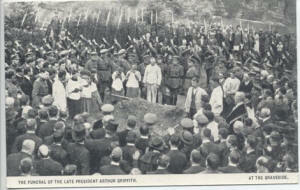 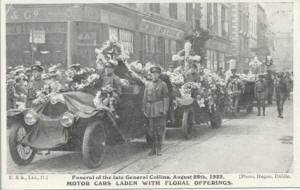 Funeral of the late president Arthur Griffith.. At the Graveside Funeral of the late General Collins. 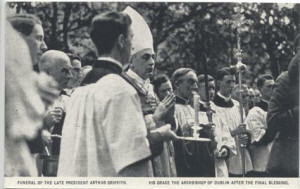 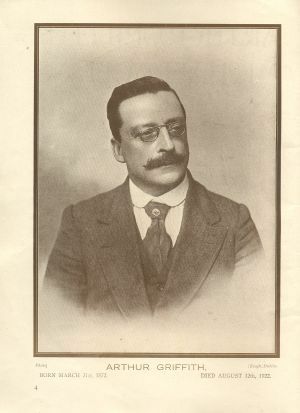 Members f an Dáil. 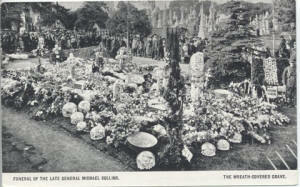 The late General Michael Collins. 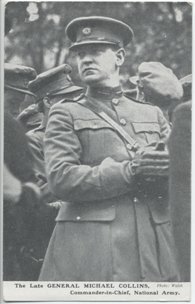 Commander in chief National Army General Michael Collins TD. 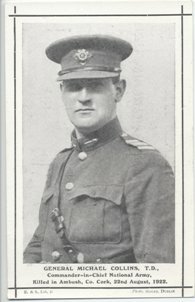 Killed in ambush, Co. Cork 22nd August 1922.